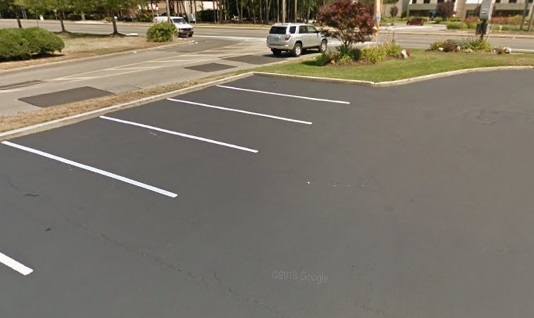 Complex Structure is No Problem - DuMor Construction Inc.
We received a call from a developer who needed paving done in a parking lot here in Long Island. The parking lot was to have two levels next to each other, connected by a two lane ramp that needed to be large enough for trucks to maneuver safely. It was a tricky project, but we were able to provide a comprehensive estimate that impressed the project manager. 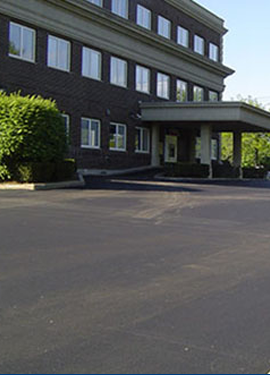 This asphalt paving in Nassau County turned out great! Our crew arrived at the location bright and early Monday morning. Thankfully, the weather forecast was in our favor as it was supposed to be sunny skies and warm temperatures without any rain scheduled. The crew knew that this was going to be a different yet difficult project, but they were all ready to get started on it. The crew started getting the area ready for the lower level parking lot. The crew started building the columns for the first level, then once they had that built they began grading the area with our industrial automatic motor graders. This is an important step that must be done right the first time. The grading will ensure that any water would effectively run off and drain properly. The crew then began to lay the sub base. The sub base will be the surface for the parking lot, so it must be very stable. The sub base was installed to the precise thickness, then it was fully compacted. The crew started laying the binder layer over the sub base. 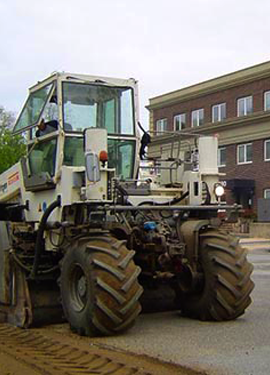 The binder layer is an aggregate mixture that will provide a strong, durable, and long lasting layer. The crew then applied a layer of fresh asphalt. This layer is a smooth layer that is made with small aggregate, oil, and sand. This step is what would make the surface of the parking lot shiny. 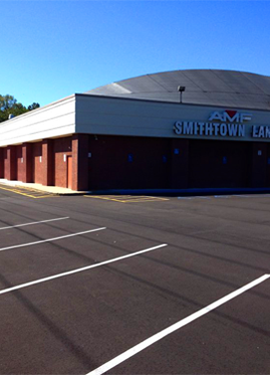 The crew finished this parking lot, then started working on the second one. Each step was followed precisely until the second parking lot was installed. The crew then began working on the two lane ramp as basically the same steps were followed. 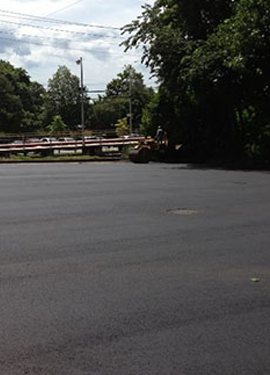 It took the crew a couple of weeks to get the entire parking lot paving project in Nassau County completed, which was still done several days ahead of schedule. The crew was thrilled that they were able to get this complex job completed with days to spare. Overall, the project was a complete success and we were very proud of our crew’s performance and craftsmanship that went into completing this project for the client. Each of our crew members are hard workers and they are always up for a challenge, and they definitely came through with this project.